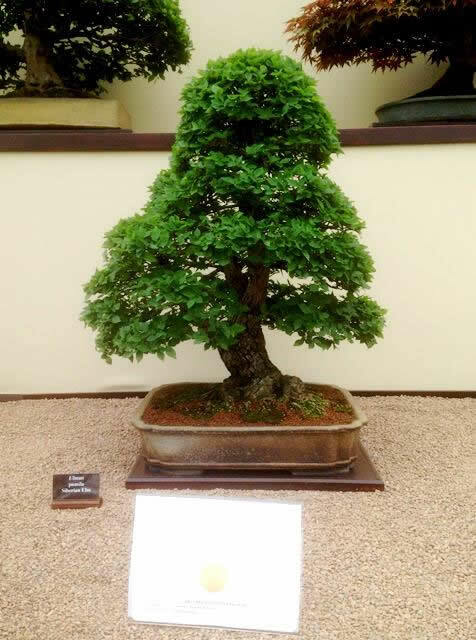 R.H.S. 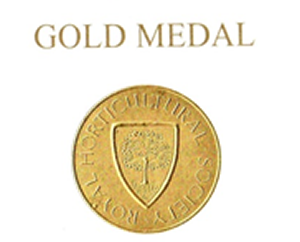 Chelsea Flower Show 2017, many hours of hard work result once again in a well-deserved Gold Medal Award – congratulations to Reg Bolton and his team for staging this winning display; thanks also to all those who have given of their time to man the stand on each day of the event; these are tough, hard working days but they provide an amazing day for both the helpers and visitors alike. 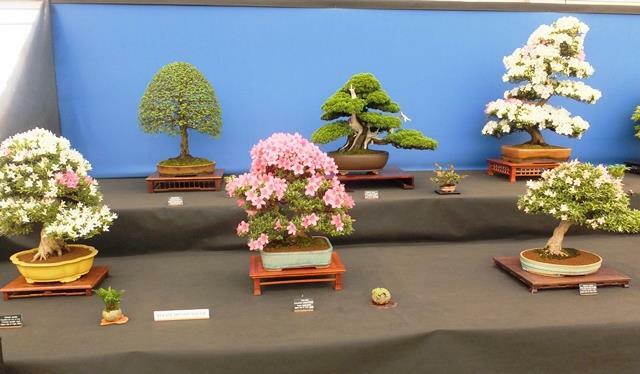 Congratulations must also go to John Trott of Mendip Bonsai and President of the Taunton and Somerset Bonsai Society for gaining another Gold Medal Award for his Chelsea display. 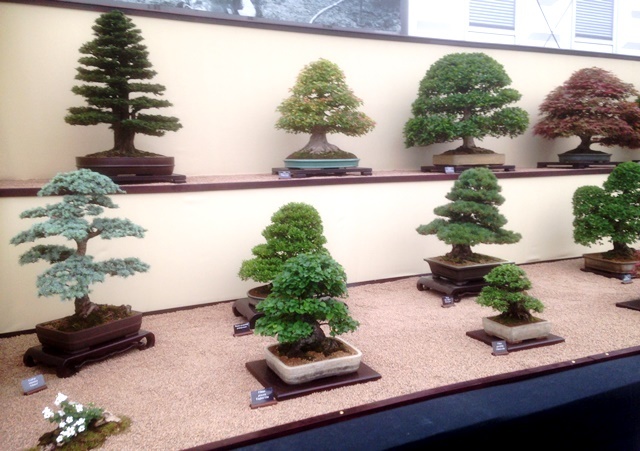 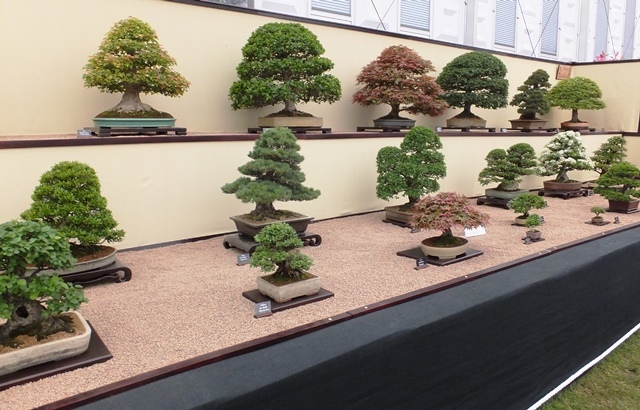 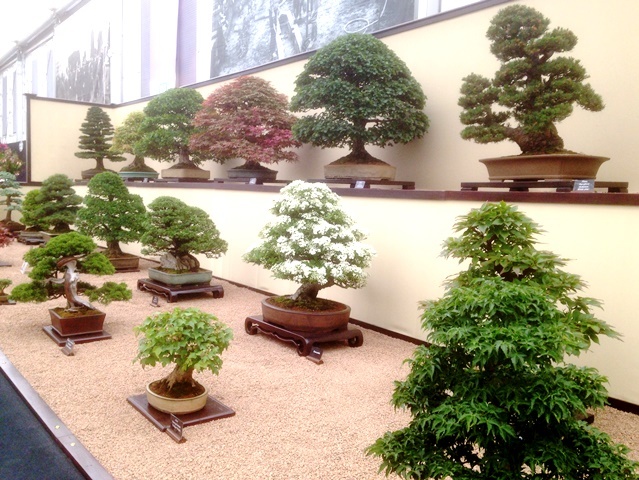 Recently, John has been working towards putting on displays of flowering bonsai, and clearly with some success!